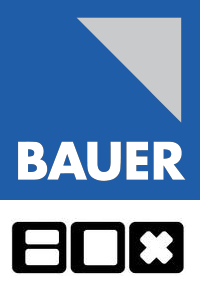 Television offshoots from Bauer Media's family of radio stations have today appeared free-to-air on satellite alongside long- running music TV channel The Box. The Box, alongside Heat, Kiss, Kerrang, Magic and Smash Hits are currently available without a Sky subscription and can now be tuned in on Freesat receivers in non-Freesat mode. There has been no indication so far as to whether the Bauer Media channels are planning to join Freesat. The move comes on the day rival channel VIVA joined Freesat on channel 146. Last year, commercial radio rivals Global Radio launched TV versions of its Heart and Capital stations as free-to-air services on Sky and Freesat, heating up competition in the music TV sector. Bauer Media's joint venture with Channel 4, 4Music remains only available on satellite to those viewers with Sky boxes, although it is available on terrestrial service Freeview, on channel 18. This is an updated version of the article first published earlier this afternoon.